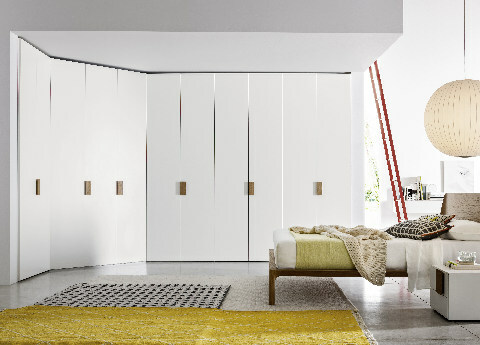 Hinged or Sliding Door Wardrobes, Which Is Best? 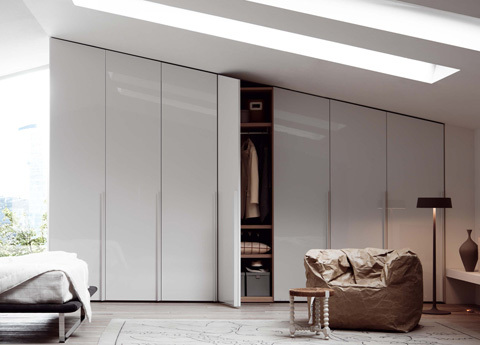 Hinged Door Wardrobes have the largest choice of sizes, & are available in small sizes from 90cm wide up. Their doors usually have handles, many of which are a real design feature, & there is a great choice of colours & textures. 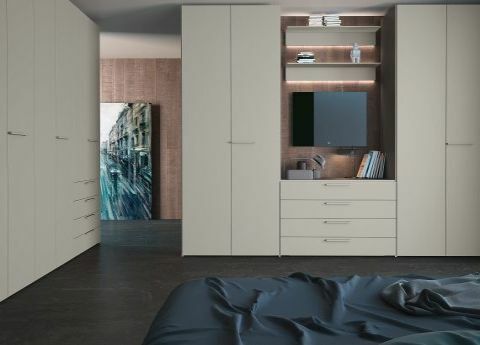 Available in a large number of different size increments, these wardrobes can also be fitted into corners, which most sliding door wardrobes don’t do. In addition, they can be less expensive than sliding door wardrobes, especially once you start looking at gloss lacquer or special glass doors. 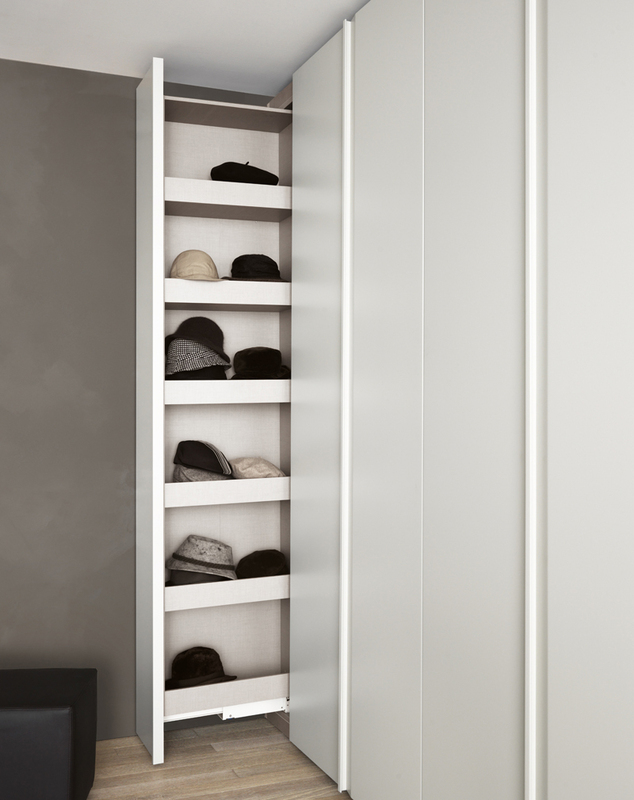 Fitted wardrobes are made by putting ‘filler panels’ of the main wardrobe or door material on the side of your wardrobe so that there are no visible spaces (these will need to be ordered with the wardrobe). Wardrobes with hinged doors can also be cut to fit into angles, for a loft, under the stairs etc. At last! Someone has realised women have more than one handbag & need somewhere safe to keep them! When I say someone, I mean Italian brand Bimax who are often ahead of the curve when it comes to wardrobes. Borrowing from a concept in kitchen design this unit can be added as another slimline cabinet, or incorporated inside the wardrobe (or both if you have too many bags). 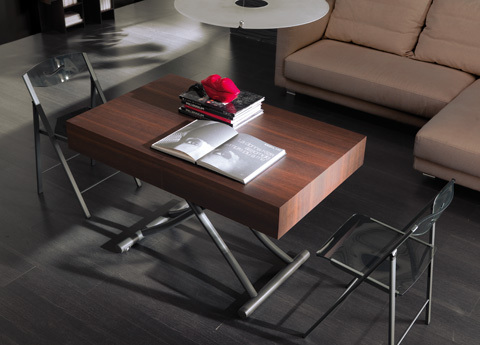 Its uber space efficient & uses the full depth of the wardrobe – 60cm & is easy to pull out & push in. Its just the right size too, with each shelf tall enough & deep enough for most bags (& hats) & as each of the shelves also has a ledge handbags will stay safe, stored upright instead of stacked on top of each other.